Thanks to our Be Boundless campaign sponsors, the UW is strengthening its efforts to serve others and create opportunities across the state. Last October, the University of Washington launched our most ambitious philanthropic campaign to date: Be Boundless — For Washington, For the World. In the year since, support from our campaign launch sponsors, including Boeing, Microsoft, Starbucks, the Seattle Times, AT&T, Banner Bank and BECU, has enabled the UW to deepen our service to Washington communities, create opportunities and change futures through programs in the Office of Minority Affairs & Diversity and Undergraduate Academic Affairs. 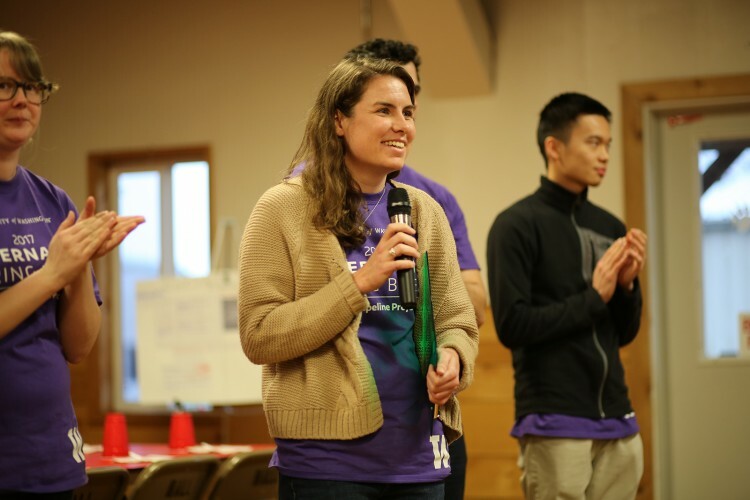 Project facilitator Meaghan Ferrick and her team of UW student volunteers hosted a community celebration in Neah Bay to close out their week of service. Every spring break since 2001, dozens of UW students have volunteered through the UW Pipeline Project’s Alternative Spring Break program, which connects Huskies with educational and service opportunities in rural and tribal communities across the state. During Alternative Spring Break in 2017, UW student costs were covered, programs were expanded and — for the first time in the program’s history — each of the 14 locations was able to host on-site community celebrations to wrap up the week. Through the lens of a film project, six UW student volunteers guided Neah Bay fifth-graders on an exploration of potential careers. At the end of spring break, the community got a behind-the-scenes look at the kids’ hard work over a shared dinner. This celebration gave students and their families the opportunity to spend time with the UW mentors. “It’s really nice to be able to get to know the people of Neah Bay and show our appreciation to the school and the community for letting us be here,” says Ferrick. Learn more about Alternative Spring Break service-learning experiences in Neah Bay in 2017, and Omak and Brewster in 2016. The college application process can be daunting: SAT prep, essays, financial aid. But imagine how much more daunting it would be if you were the first in your family to go to college. Who would you look to for help? 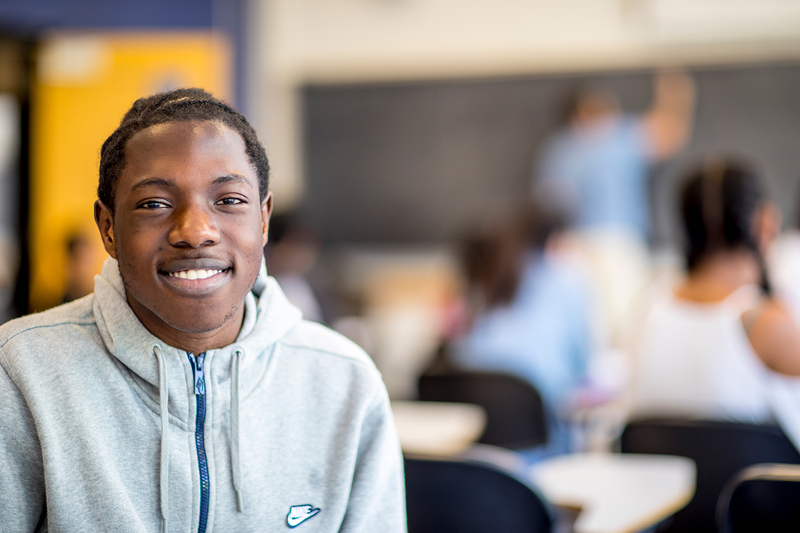 The Dream Project — a program that helps low-income and first-generation students develop their post-high-school plans — places CCRAs as paid interns in local schools. The CCRAs work under school counselors to mentor students and lead workshops about pursuing higher education and accessing careers. This year’s cohort of Dream Project high school leads — UW students who oversee Dream Project mentors during weekly service-learning opportunities at local high schools — gathers for a photo in Mary Gates Hall. In 2016-17, the CCRA program received crucial support from campaign launch sponsors that funded 40 interns for an additional six months of in-school service. Watch a video about how the Dream Project helped turn Aisha Ali’s dreams of college into reality. Cleveland High School junior Souleyman spent six weeks over the summer immersing himself in 3D printing, coding, physics and more. For six weeks each summer, a cohort of students from Seattle’s Chief Sealth International, Cleveland and Franklin high schools floods the UW for the Office of Minority Affairs & Diversity’s Math Science Upward Bound program. They are eager to soak up everything they possibly can about science, technology, engineering and math. All the participants are either low-income or first-generation, and 85 percent are both. “The amount of exposure these students have to STEM labs, activities, technology, computers and advanced classwork is limited in their high schools,” says the program’s director, David Wolczyk. So it’s especially valuable for them to get a crash course at the UW. During their time on campus, the students interact with dozens of faculty who lead various STEM seminars, and they have the opportunity to gain applicable skills for college and beyond. Thanks to additional support from campaign launch sponsors, students were able to visit the Boeing plant in Everett, meet with engineers and tour the 747, 777 and 787 production lines. UW senior Kaya Warrior works with underrepresented prospective students as a student ambassador for Multicultural Outreach & Recruitment. For Cristina Gaeta, college can’t be approached as one-size-fits-all. As director of Multicultural Outreach & Recruitment (MOR) in the Office of Minority Affairs & Diversity, she leads the effort to offer college access events that address the needs of low-income, first-generation and historically underrepresented students. Over the past year, campaign support enabled more than 1,000 students to get involved in MOR programming — including Shades of Purple, a two-day conference for underrepresented minority rising seniors in high school who are interested in attending the UW. “College access events like these are important because we meet prospective students and their families where they’re at in their understanding of the pathway to college,” says Gaeta. One such student was Kaya Warrior, who visited representing Washington’s Lummi Nation when she was in high school. After Warrior participated in Shades of Purple, she knew the UW was the place for her. 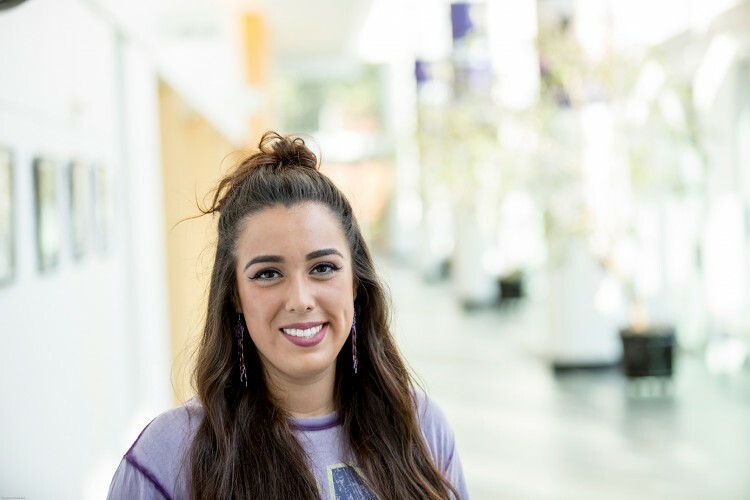 Now she’s a senior and a MOR student ambassador, working with underrepresented prospective students to help them envision themselves at the UW and build a plan for their educational future. “This program gives students who weren’t college-bound beforehand the inspiration and tools they need to be knowledgeable about the application process,” she says. During Shades of Purple, prospective students learn about life at the University — as well as how to apply — from UW mentors and role models who cheer them on every step of the way. “To work with students through the entire process of essays and applications, then see them get admitted and bring their families with them to our spring conferences, makes it all worth it,” says Warrior. Through her internship as investments and partnerships officer at the Prison Scholar Fund, UW senior Grace Novacek gained professional experience and served a cause she cared about deeply. Paid internships are rare — and paid public-service internships are even rarer. With funding from campaign launch sponsors, the 2016-17 Carlson Center Undergraduate Community-Based Internships supported six new student internships with community-based organizations, totaling more than 1,200 hours of professional experience for students and service work for local partners. Grace Novacek, a senior majoring in biology, received support for one such internship. She took on the role of investments and partnerships officer at the Prison Scholar Fund, which opens access to higher education, support and mentorship opportunities to incarcerated individuals and helps them integrate back into society. The hands-on position was a perfect fit: Novacek could make an immediate impact while getting applicable professional experience — in her future career, she hopes to combat racial inequality in the criminal justice system. “Hearing the students’ gratitude for what I see as the bare minimum we can do for those who are incarcerated is both humbling and rewarding,” she says. 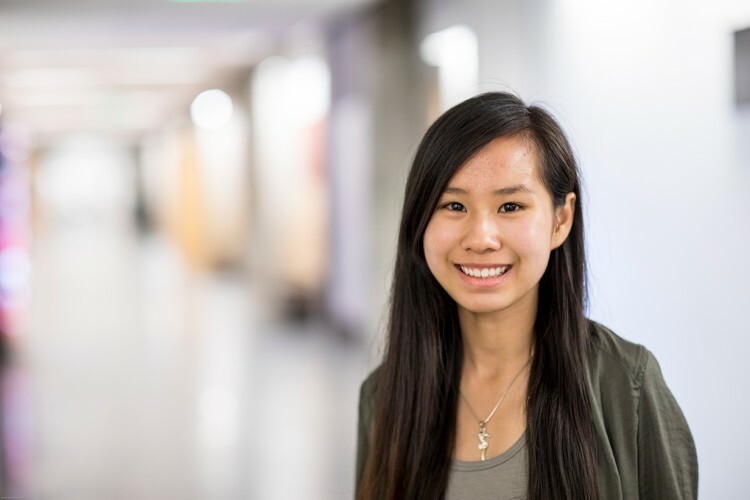 Loleena Tang, UW first-year student and Early Fall Start participant, credits the program with improving her writing skills — and increasing her confidence — before the school year began. This past summer, 17 graduates from Seattle’s Cleveland, Franklin and Chief Sealth International high schools chose to cut their summer short: They started college early. 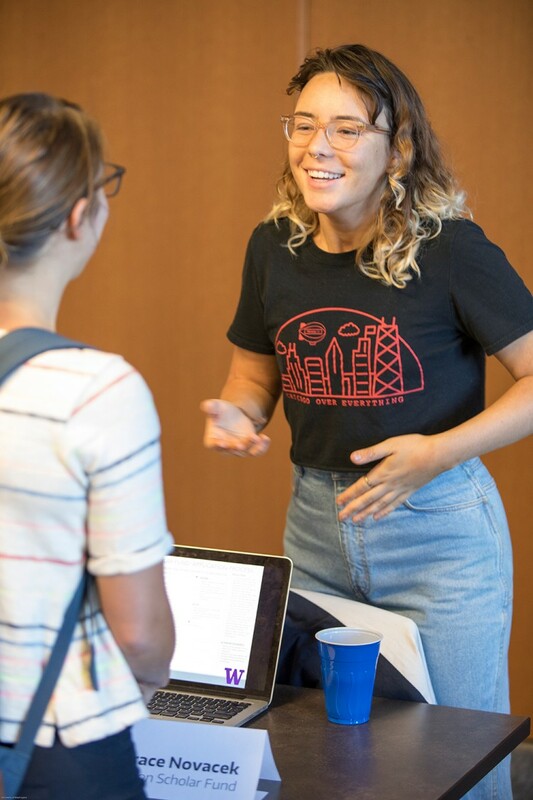 Enrolled in Early Fall Start, these students came to the UW in August for a four-week English course that gave them college writing credits — and much more. Early Fall Start is just one aspect of the Upward Bound program, housed in the Office of Minority Affairs & Diversity, which helps economically disadvantaged and first-generation students prepare for college through tutoring, scholarship applications, career exploration and more. Students like Tang, who began participating in Upward Bound’s intensive preparatory services when she was a sophomore, have benefited tremendously from the program. This year, thanks to campaign launch sponsors, Upward Bound offered the student cohort a special support class that eased the transition to college. It helped them build community, learn college navigation skills and connect with on-campus resources. The UW is grateful for the boundless support of our campaign launch sponsors. When you link your passion with your philanthropy, the change you drive in the lives of UW students, faculty and staff — and those we serve — is truly transformative.